Most borrowers with a credit score of less than 700 believe that it would be very difficult for them to get a personal loan. It may however be noted that the percentage of American population with a credit score of under 700 is quite large. Hence, lenders are not likely to not capitalize on such a big market. There are many private lenders who offer personal loans to borrowers with less than 700 credit score. Before applying for a personal loan, people with less than 700 credit score may try to seek financial help from family or friends; you may take out a mortgage on your house if you own a house; or you may sell your gadgets, furniture, or other things of value that you do not use, or use minimally. If none of the above options work, then you may apply for a personal loan. 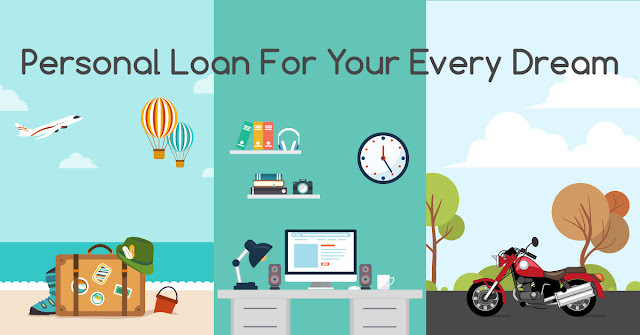 Listed below are the top 6 providers of personal loan for people with a credit score of less than 700. Lending Club: It is a peer-to-peer financial company that offers up to $40,000 in personal loans. Borrowers need to be employed, with a credit history and a minimum credit score of 600, and should not have a recent hard credit inquiry. Pros of Lending Club include reasonable interest, no hidden costs, clear terms, no prepayment charges, and fixed repayments. The loan processing time is quite long and can be up to 7 days. The credit score of borrowers is not affected as the company does a soft credit pull. Prosper: It offers loans ranging between $2,000 and $35,000. Eligibility criteria are, lower than 50 percent debt to income ratio, no filed bankruptcies in last 1 year, and credit score of at least 640. Benefits include soft credit check, no collateral, no hidden charges, low interest, fixed monthly repayment, and no prepayment fees. Best Egg: It offers personal loans up to $35,000. Eligibility criteria include an active bank account, high income, minimum credit score of 640, and at least 18 years old. Benefits include soft credit pull, quick processing, competitive rates of interest, and no prepayment charges. Cons are, APRs of nearly/up to 30 percent, an origination fee, loan term of 3 to 5 years only, and inflexible repayment terms. FreedomPlus: It offers loans of up to $35,000. Eligibility criteria include minimum verifiable income of $25,000, a valid ID, minimum credit score of 640, no filed bankruptcies in past 2 years, and at least 18 years old. Benefits include soft credit pull, quick 1-day processing, no prepayment charges, and phone screening. Cons are high APR of nearly 30 percent, an origination fee, and unclear terms with regards to fee structure, late payment, and loan options. Avant: It offers loans between $1,000 and $35,000. Eligibility criteria include proof of income and a bank account. Benefits include soft credit pull, quick processing, no prepayment charges, minimum credit score of 580, and fixed repayment provisions. Late payment charges are refunded if next 3 payments are on time. Cons are high APR and an origination fee. OneMain: It offers loans between $1,500 and $10,000. Eligibility criteria include verifiable income, nil bankruptcies, at least 18 years old, and minimum credit score of 600. Benefits include quick 1-day processing, no prepayment charges, and transfer of funds in 24 hours. Cons are a hard credit check that adversely impacts the credit score, loan term of just 2 to 5 years, high APRs of nearly 36 percent, and completion of paperwork at company branch. Thanks for sharing the details of the various loans. So, get loans from Basic Finance who offers 24 Hour Short Term Loans and other loans at the low interest rates.